A look into the studio. 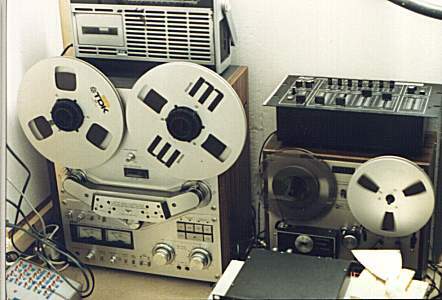 When there was no live event the program tapes were played. The King Baudouin-tower on top of the triangle-border of the Netherlands, Germany and Belgium. Here You can see the four dipole aerials beaming towards the Netherlands (Northwest) and Germany (Northeast). 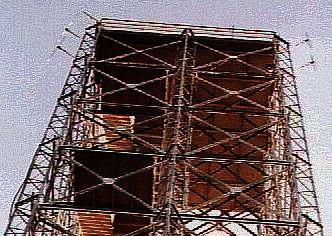 1994 the old steel construction was replaced by a new one. Design © 1998 by Chris. All Rights Reserved.